Thank you for joining us once again as Dodge Caravan Kids launches its 13th season supporting Minor League Hockey in Canada! The first twelve seasons were a success because of you, and we can’t wait to create another season together filled with great hockey memories! 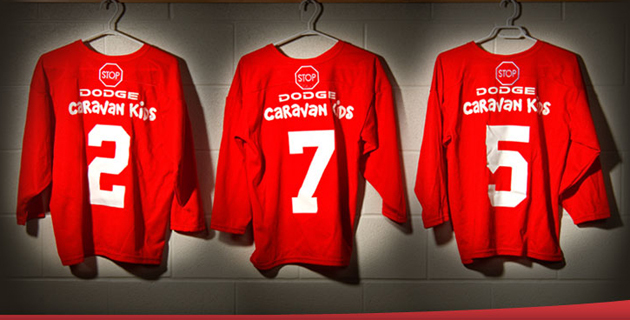 To-date Dodge Caravan Kids has provided over$9 million in funding to over 18,000 teams, helping over 270,000 kids across Canada to enjoy the game of hockey. Game on! 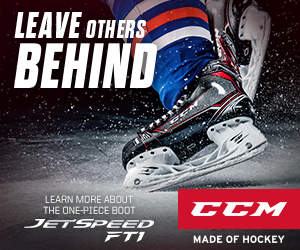 Novice (AGES 7-8) hockey teams and associations located within 150 kilometers of a Chrysler, Jeep, Dodge, Ram retailer. 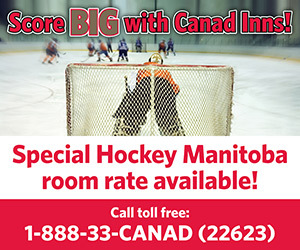 Canadian associations may use this sponsorship for all Novice hockey teams (ie. House League, Local League, Select, MD, Representative). It is not limited to just one team per Association. Teams and associations are eligible to participate regardless of other corporate sponsorships they may have unless those partnerships are with a competing automaker or their associated retailer. $500 in funding which can be used to offset the cost of team expenses. NEW – The opportunity to enter the New ‘Breakaway Giveaway’ Contest for a chance to win $5,000 for your local Minor Hockey Association and a 2019 Dodge Ram 1500 for your family! Account login system to a master dashboard with ability to monitor application status. Option to register on waitlist if regional sponsorship opportunities are full. Expiry period for applications once initiated. Team photos and parent release forms submitted digitally and online. The NEW Dodge Caravan Kids registration process is completely done online. To participate in Manitoba, teams are accepted on a first come, first serve basis, with the option of a waitlist once the program is full. Please review the IMPORTANT INFORMATION PACKAGE to ensure all steps are completed properly in order to submit your registration. Registration will be accessible between October 3, 2018 to January 31, 2019.